On the northern shore of the Gulf of Corinth and at the foot of Mount Parnassus, lies the bucolic village of Arachova, Greece. The village and its surroundings offered our tour group an exhilarating setting for testing our nimbleness and stamina. We began our day in Arachova, Greece by climbing the iconic clock tower offering commanding views of the village’s terraced hillsides and red-tiled roofs. 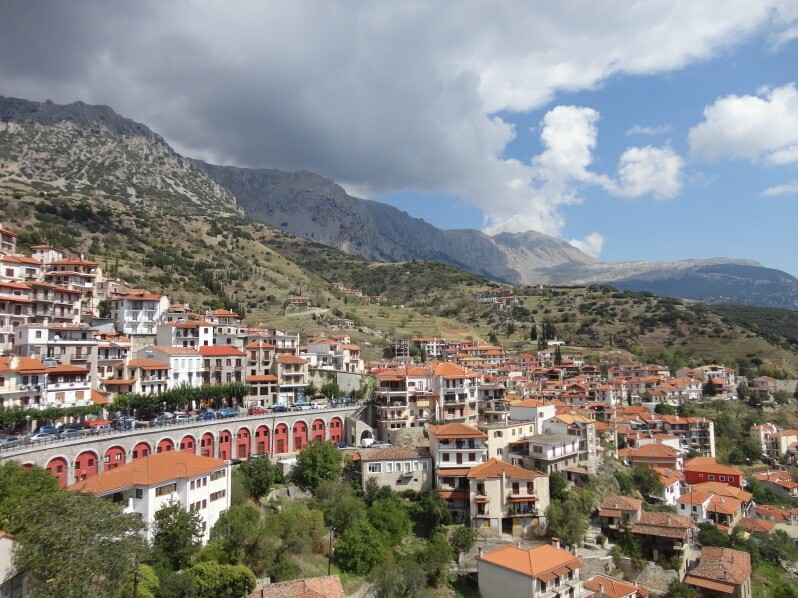 Arachova sits at an elevation of 2,700 feet and has a population of about 3,000. The area played an important role in the war for Greek independence from Ottoman rule when a decisive 1826 battle drove the Ottomans out. Toward the end of the 1800’s, the town grew when archaeologists excavating the nearby site of ancient Delphi established their operations base here. 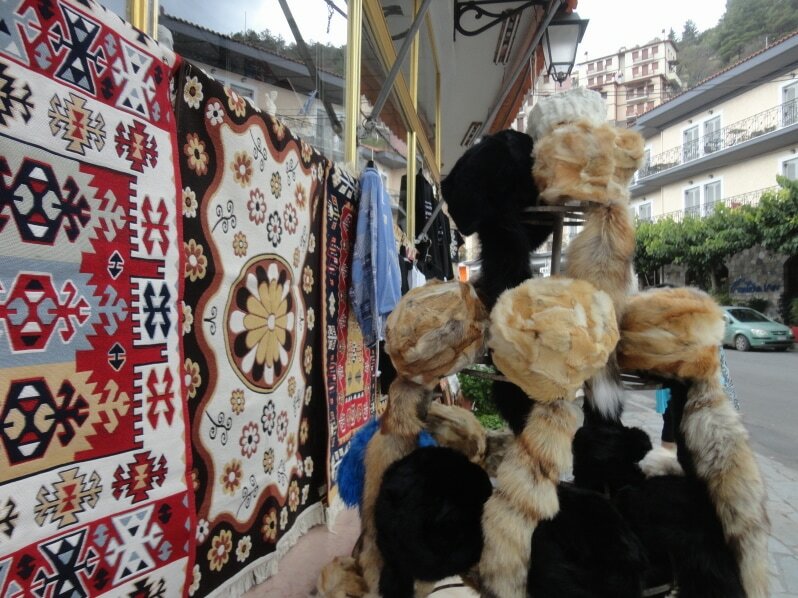 Today Arachova is often a base for tourists who visit Delphi and athletes who ski Mount Parnassus in winter. There was a chill in the late September air when we walked around the town and stopped at a family-run cheese production facility. 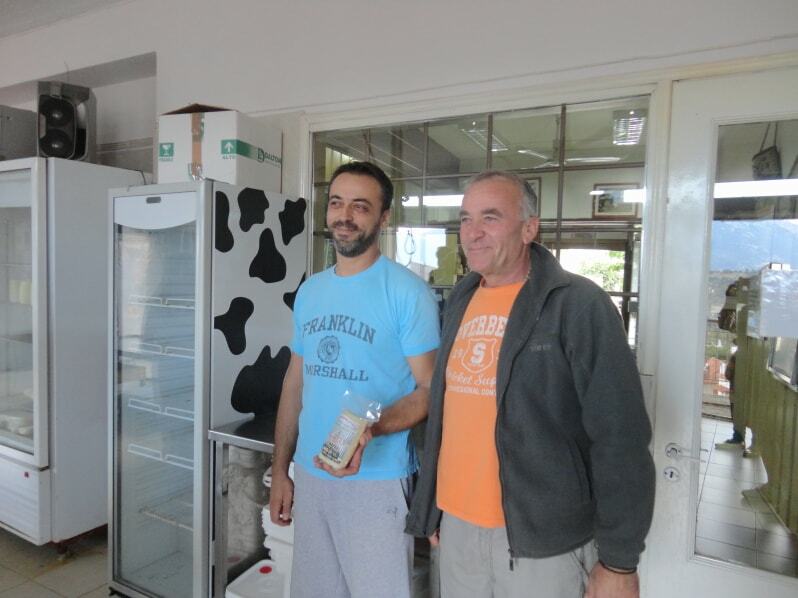 The Christos family produces the mild Formaella cheese only in Arachova from sheep and goat milk. The size of the facility limits annual production to 50,000 units. Since there is no room for expansion in Arachova and the cheese makers can’t produce it elsewhere and still legally brand it Formaella, they sell the limited output only in Greece. 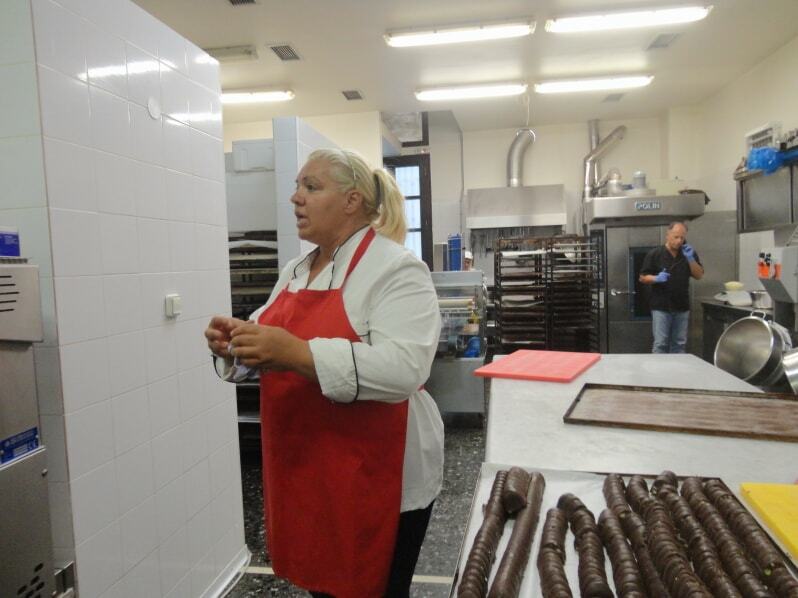 Our next stop gave us a behind-the-scenes look at the creation of traditional Greek candies and other sweets. Melted chocolate swirled in vats as husband and wife owners Thomas and Effie Papasthathis operated the equipment and passed out samples of a tasty, chocolate-covered pistachio, walnut and almond mixture. Our lunch at Taverna Kaplanis took the eat-local movement to the ultimate level. While the owner is a wine producer and raises the goats and sheep consumed in the restaurant, his wife creates the actual menu and cooks the traditional Greek dishes. We benefited from their teamwork by dining on spinach pie, fried zucchini blossoms, grilled Formaella cheese, stuffed cabbage, green salads, sausage with green peppers and tomato, lamb chops, rooster fetuccini and french fries. As if this weren’t enough to satisfy our midday cravings, an intriguing Greek dessert topped the meal. Moustalevria is a flat, pancake-shaped concoction created by boiling the remnants of grapes, after being pressed for their juice, with wood ash. The solids are then filtered out and the liquid is boiled again with flour to a gelatin-like consistency and then ground pistachios added. 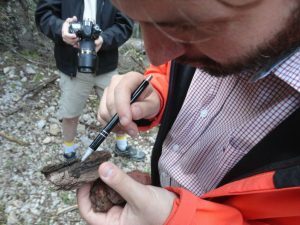 Recent rain in the area afforded a perfect opportunity to work off the meal by going on a hike to hunt for mushrooms in the National Forest of Parnassus. 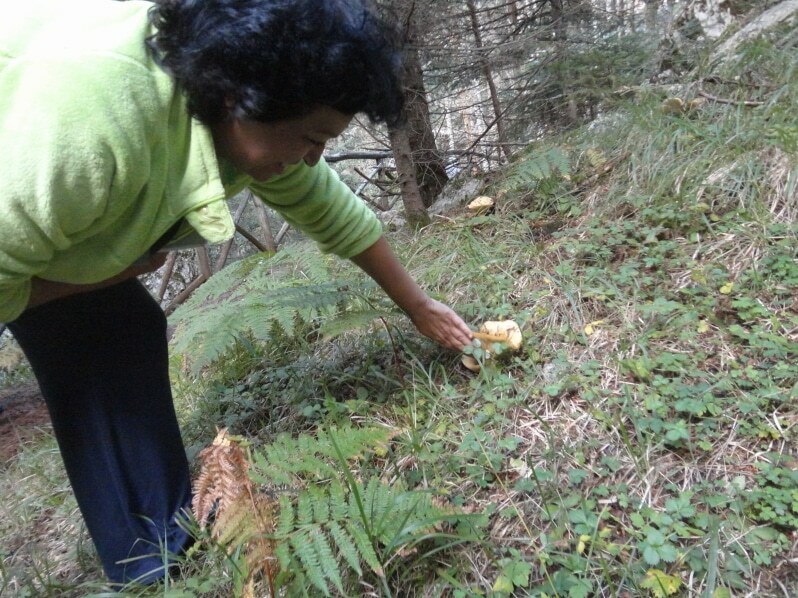 There are 280 different kinds of mushrooms that grow in the forest and it is legal to pick up to one kilogram (about 2.2 pounds) per person. 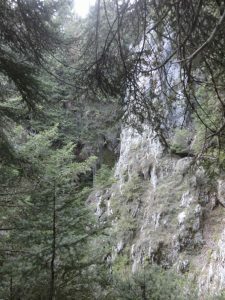 We passed under towering Kefalonia fir trees, a species that grows only in this forest and on the island of Kefalonia. 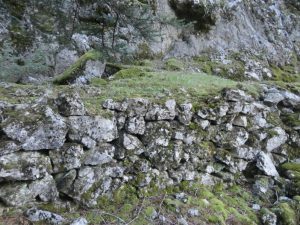 Along our route we came upon an intact stone wall that lined a 3500-year-old path to Delphi through the forest. Political leaders of the early Greek city-states sought the advice of the famed oracle of Delphi whose visions allegedly predicted the future. A massive building complex developed at Delphi where the city-states erected temples to the gods who had bestowed fortunes on them. In addition, each city-state maintained a treasury building which housed the spoils that it had looted in its wars. That evening, we capped our perfect day by dining on fresh fish in the seaside village of Antikyra at the wharf-side Valaouras Restaurant before heading back up the mountain to spend the night in Arachova at the Skamnos Boutique Hotel. 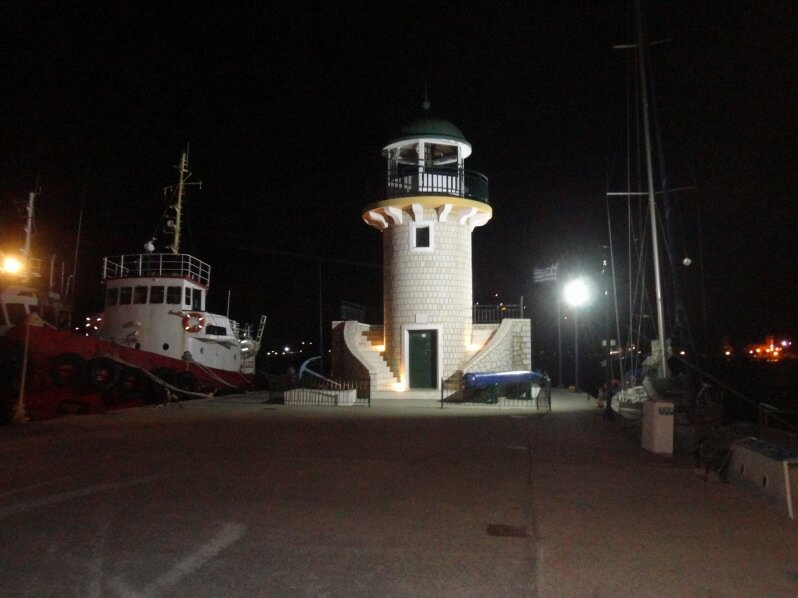 Arachova is located on the slopes and is the most popular winter destination in Greece. Summers are dry and temperatures at night may drop significantly. Winters are cold and are characterized by heavy precipitation and snowfall. How to get there: In order to get to Arachova, you will have to follow the National Road of Athens to Lamia. Following the signs to Livadia at the junction of Thebes, you will continue towards Arachova/Delphi. The road trip usally lasts two to three hours. Train and Bus are also available. Buses of Boetia operate routes from the Liosion Station in the City of Athens to the village of Arachova on a daily basis. The journey lasts three hours. Trains operate daily from Athens and Thessaloniki to the city of Livadia. 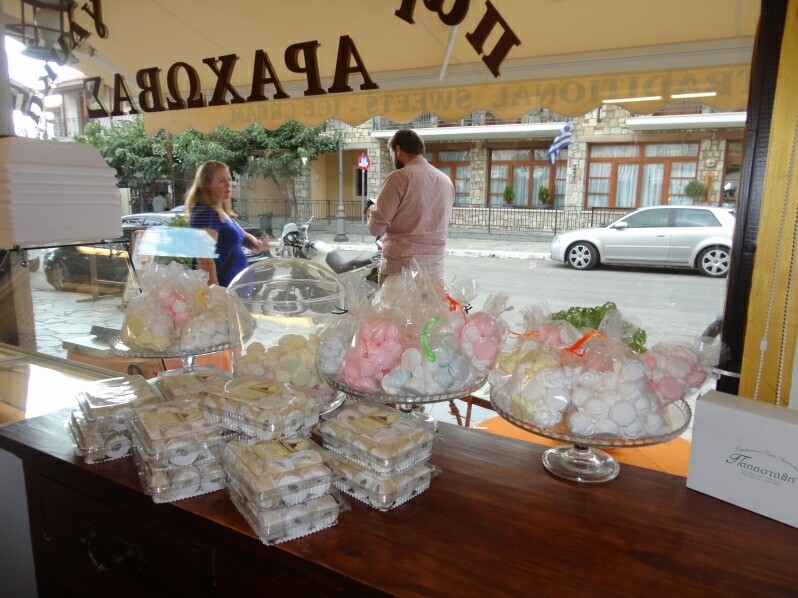 From Livadia, you can either hire a taxi or use the local KTEL bus to get to Arachova. Find cheap flights Check Trip Advisor for the best flight to Arachova. 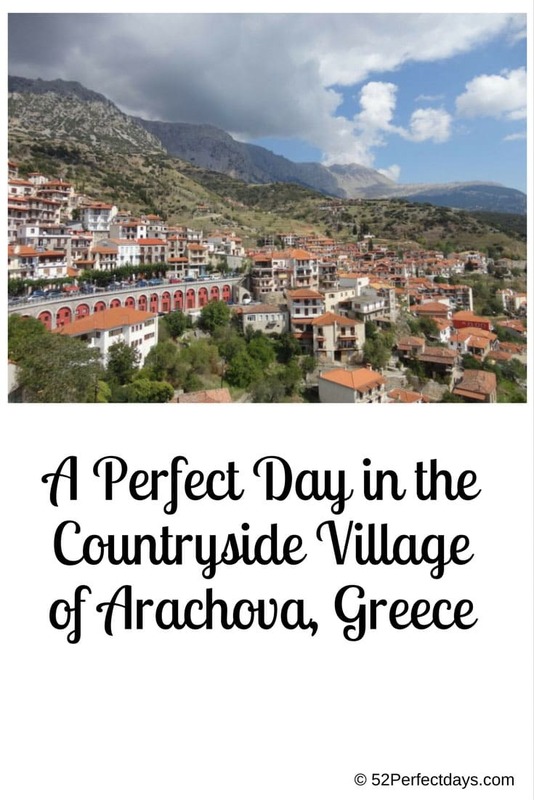 Where to stay: There are many places to stay in Arachova, Greece. There is a wide range of hotels, from budget to luxury. For a luxury hotel that won’t break the bank, I recommend the Elafivolia Arahova Suites, which is currently the #1 hotel on Tripadvisor. For a mid-level hotel, I suggest the Aegli Arachova. Finally, for a budget hotel, try the VIP Chalet 4 Epoches. You can also check HotelsCombined for the best Arachova Hotel Rates. Get the Lonely Planet Guidebook to Greece. Bring a good quality mirrorless camera for getting those beautiful Arachova mountainous village shots. I use the Sony Alpha a6000 . You’ll want some great walking shoes for Arachova. I love Keen, they are so comfortable and a great shoe for summer trips to Greece. Here is a great option for women, and here is a great shoe option for men. David Lee Drotar's travel stories appear in The Globe & Mail, New York Post, The Buffalo News, Perceptive Travel and numerous other publications. Drotar is the author of seven books including Steep Passages: A Worldwide Eco-Adventurer Unlocks Nature's Spiritual Truths. See more at http://www.brookviewpress.com. What a great post! So glad I found you on Mostly Blogging. I’m 1/2 Greek and have been cooking and baking traditional Greek recipes passed down from my Yaiyia for years. That being said, I’ve never heard of Formaella. I’m slightly obsessed now! Can you describe the taste and texture? Is it like Feta or is it a dry cheese? I’ll have to Google it. I’d love to visit Arachova. Sounds like you had a great trip. Thanks for the comment. No, I wouldn’t say Formaella is like Feta which is crumbly. It is more like mozzarella in that regard. When it is grilled, it takes on a smooth, melted consistency. If it is allowed to cool, however, it will re-harden back to a thicker consistency. Every day I want to integrate into nature. Great post–felt like you took me there! I have only been to Santorini, but I think I need to go off the tourist trail and explore other parts now!